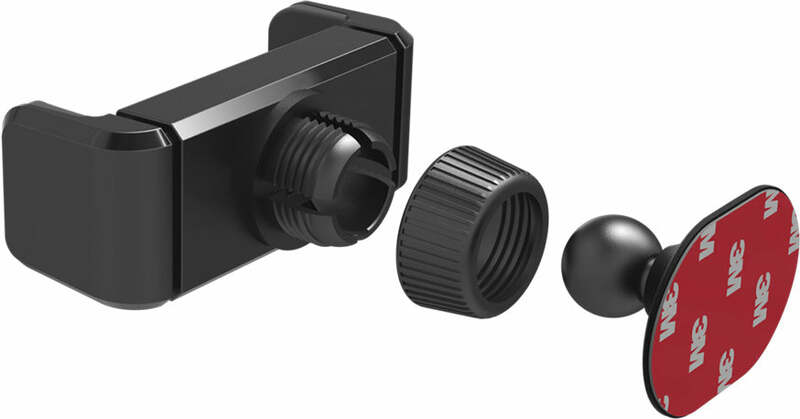 One-Touch Button Grip lets you adjust the width of the grip with one simple touch of a button, so your phone can smoothly glide in with no-muss, no-fuss. Universally compatible with all phones and cases alike, so should you snag the latest phone upgrade or splurge on a fresh new case, you’re always covered. 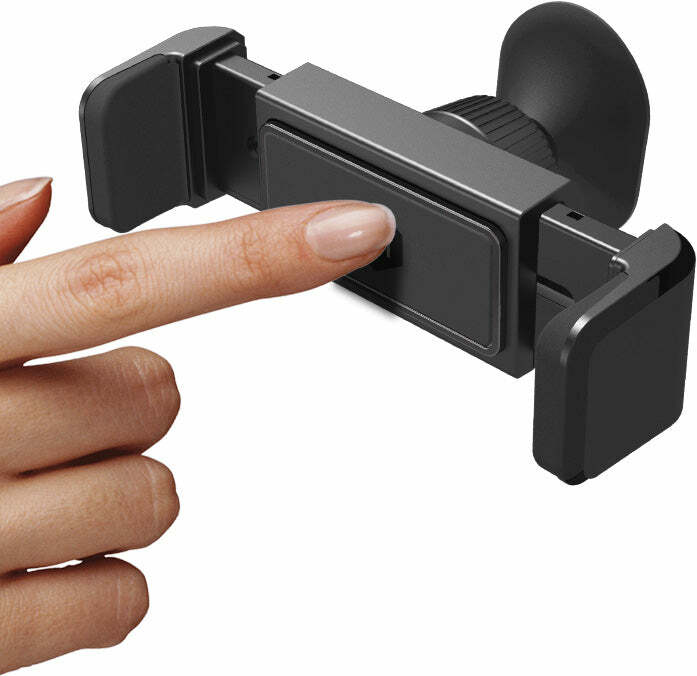 Super-sturdy base with 3M adhesive lets you navigate any speedbump with ease- your mount is there for the stay. Wide range of tilt and rotation means you can always have the perfect view of your screen, whether you’re reclined in cruise control or up-front and center. at the perfect angle. Great for Face ID. really like this dashboard mount. It was very easy to install. It hasn’t moved at all since I installed it. It is very versatile regarding cases on your phone. My husband’s case is bulkier than mine (iPhone 8 plus) and it adjusts and works fine for him. 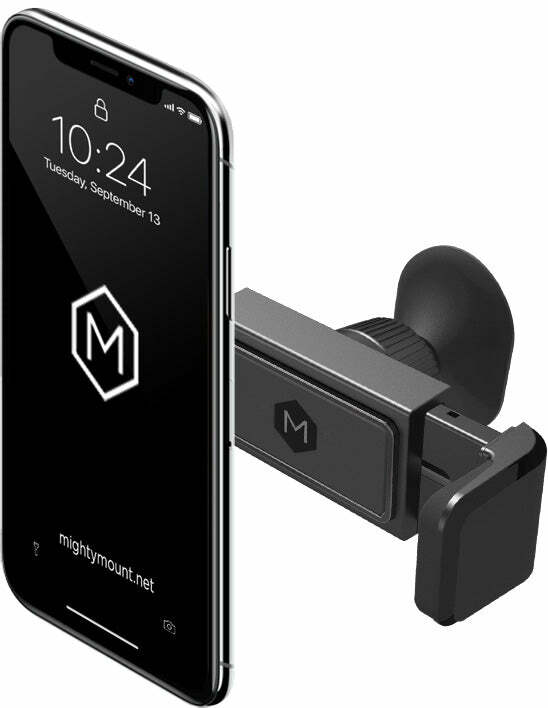 I love this phone mount, it keeps my hands off my phone when using GPS etc. Just what I wanted. The feet are adjustable so I'm able to fold one in and listen with headphones. The grip is fantastic; my phone doesn't slide around. It feels sturdy and strong. I bought it to sit in my cup holder because I was against driving with one in the window, but this guy is small and super easy to see around. I really like this better than my prior mount which I had to use 2 hands to hold clamp apart and insert or remove.